Bored with your hairstyle? Try this super simple trick from Bb. stylist Joey Argeras that also happens to be really good for your hair. Bored with your hairstyle? Try this super simple trick from Bb. 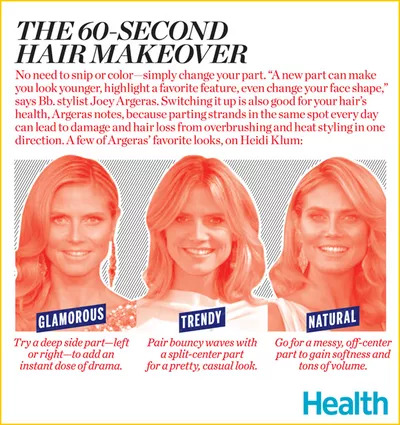 stylist Joey Argeras that also happens to be really good for your hair: Change your part. Here are three different looks to try.